The School houses an important and unique collection of textiles and artefacts. From original designs, tracings and paintings as well as pieces collected from all over the world from past students. The museum archives are a treasure trove of skills and stories woven into beautiful pieces. We exhibit these pieces regularly throughout the country as well as welcoming past, present, future pupils and other visitors to view them at the school. We welcome groups visits to the School and Museum, so please contact the School direct to discuss your party's requirements. The museum can take 20 people at one time but it is possible to arrange for split group visits. These visits are arranged to take place privately on days when we are closed to casual visitors or outside normal opening hours, including evenings, and cost £7.50 per head (minimum charge £75). 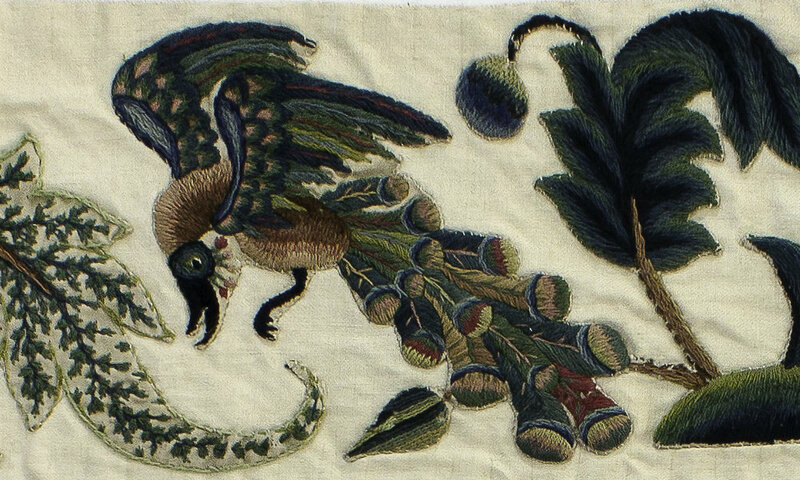 This charge, and any donations, will be put towards the running costs of the School and a programme of conservation and repair of our collection of historic textiles and artefacts. Fiona Wemyss has been welcomed as a speaker at many venues. If your group or venue would like to discuss a guest speaker for your event please contact the School direct. For each illustrated talk a donation is required to aid the upkeep and continual development of the School.